As someone who loves to take pictures, and is a big fan of street photography, this story really touched me. It’s nothing short of amazing and is absolutely inspiring. It felt appropriate to introduce this week’s Read pick with a song by the author. Especially this song. 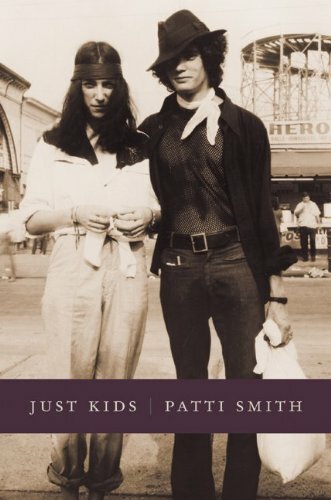 There’s a ruthless passion in both Patti Smith and Robert Mapplethorpe, but I wondered if Smith ever wanted or needed the force of security. She makes clear Robert Mapplethorpe wanted it, but, during the time period the book covers, I wasn’t so sure about her. They sacrificed themselves physically, mentally and emotionally for the “divine gift of creative fire” and, through their sacrifice, changed the world(s) of art/music/photography/poetry — all of this while they were still just kids. P.S. It always excites me to read books that take place literally outside my front stoop. There’s inspiration in stepping in the invisible footprints of the world’s great adventurers. 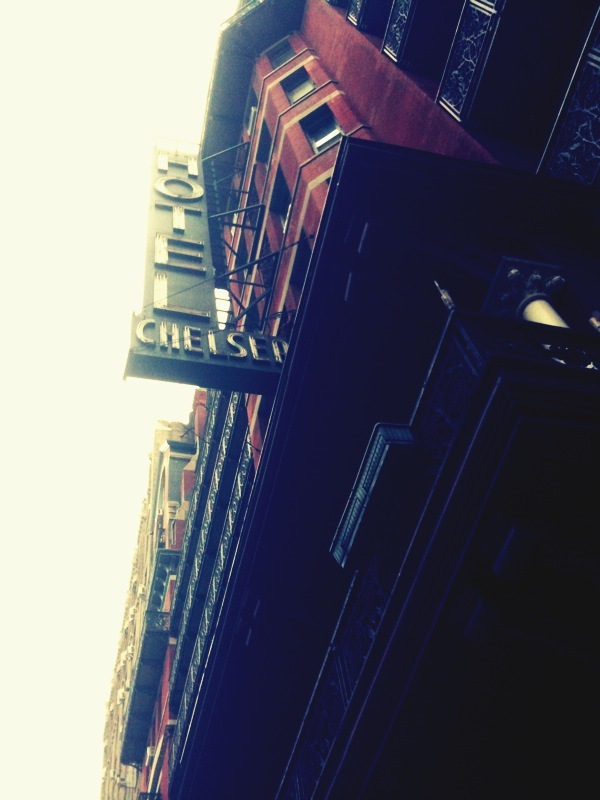 While reading this book, there were a few times I stopped, walked out my door and over to the Hotel Chelsea just to read about that very building while standing in the lobby. I drank sangria in El Quijote while Smith’s words took me back to what it was like there in the 1969/1970. New York is a place full of ghosts and magic. Luckily, there are poets like Patti Smith who lead the exploration and became cartographers to the generations of young New York artists who will follow their paths.